Now that it’s a bit cooler — and that I am tanner than normal — I decided to pull out this new Donna Morgan dress. 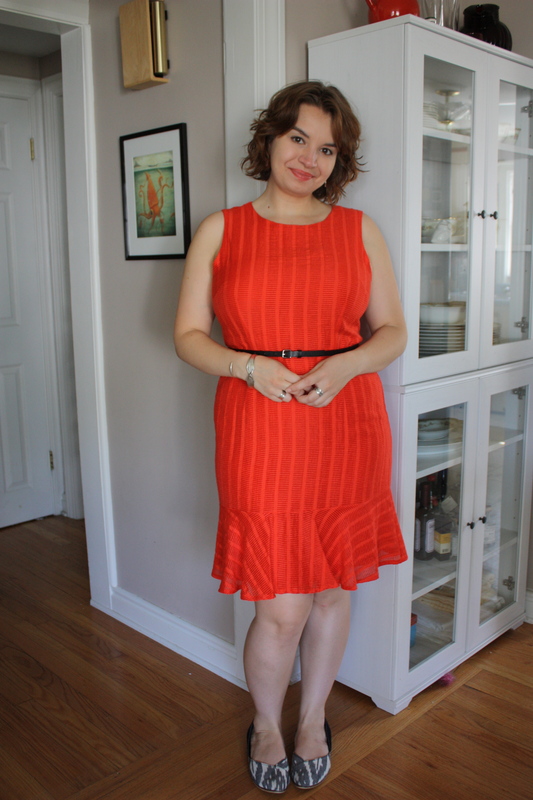 I originally saw it on the Stitch Fix blog back in the spring and wanted it badly. I loved the shape of it, as well as the unique pattern of the fabric. Plus, the color is gorgeous! But, in Stitch Fix fashion, I didn’t have a Fix lined up in time and, while I get pieces I love in the end, I rarely get those that I see and am desperate to own. 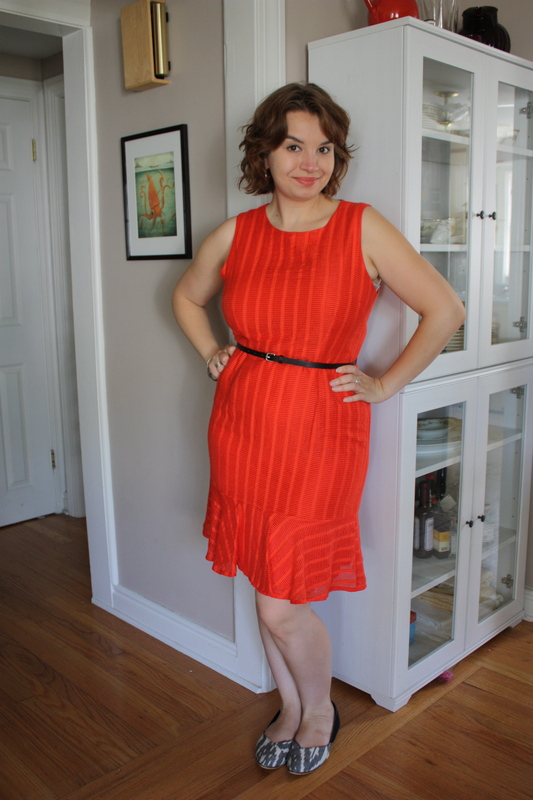 In a late night online browsing session in the spring, I stumbled across this piece on Modcloth. The price was too high (I think $129?) so I put the idea to rest. When I was on more recently, I searched in again and saw that it was on final sale for $64! And they had my size! I scooped it up in a heartbeat! As mentioned earlier, I love the vibrancy of the color (“hot pepper” according to the tag) and the patterned fabric. The fit is just right too. This time around, I paired the dress with my go-to TOMS ikat flats. I have an after hours work event to host, plus an arts festival in the city after that to attend, so I knew running around necessitated comfort. When I found out that my little city was hosting a week-long arts festival, I knew I had to participate, even if it meant a lot of late nights. There’s something about taking that break to breathe, recoup, and connect with people on an emotional or intellectual level that sounds instantly appealing. Don’t get me wrong — I love talking history or theatre non-stop, but sometimes, I just want to sit back and be someone else’s guest.